Does dessert get any better than caramel and puff pastry? I made this dessert almost a year ago after watching an episode of The F Word (Gordon Ramsay’s show). This was pre-DSLR and natural lighting (there’s not a whole lot of natural light to be had around here in the middle of winter), so the pictures won’t be the prettiest, but you get the idea. This really is an easy dessert to make, and since pears are lovely at this time of year, I thought it would be a good time to post it. Well, and because I’ve become obsessed with Sons of Anarchy and have been busy catching up on past episodes. Yes, I’ve chosen tv over cooking, but if you watch this show, you understand. (If you haven’t seen it, it’s only in the second season…but watch from the beginning to ensure you get all of the backstory). 2. Peel the pear and slice lengthwise in half. Use a melon-baller to scoop out the core and a small knife to cut the stem out. 3. Cut the vanilla bean into two 2-inch pieces. Slice part of the two inch piece lengthwise and scrape out some of the seeds; scatter over the pear, concentrating on the cavity. Place the 2-inch pieces of vanilla bean in the cavity left by the stem. 4. Fit puff pastry around the outside of the pear, trim to fit. 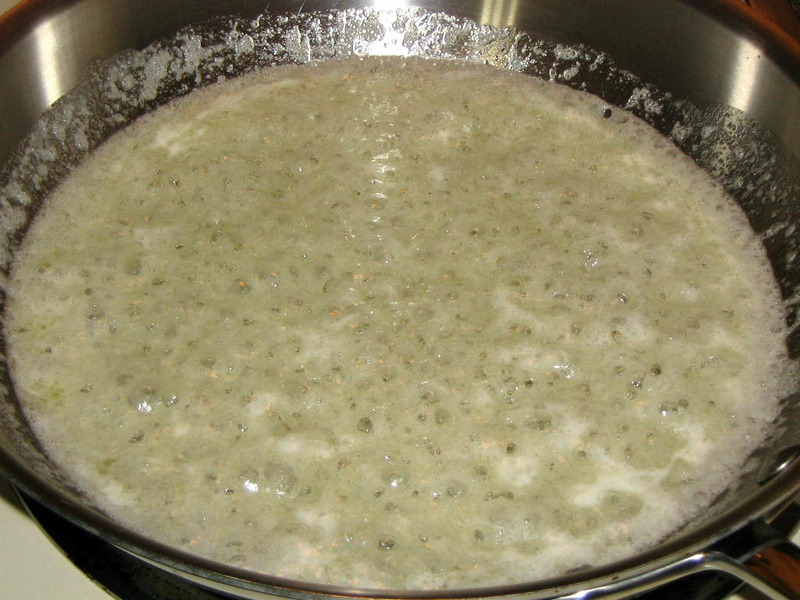 Refrigerate for 10 minutes. 5. 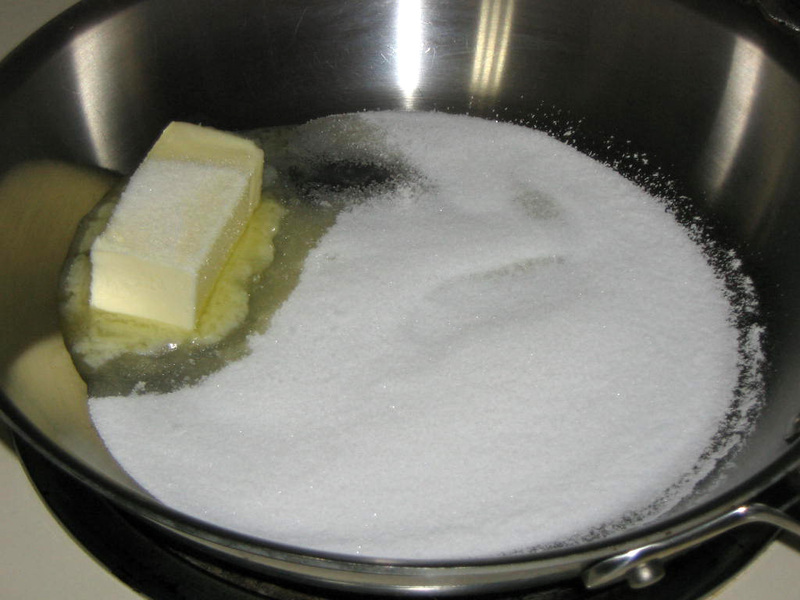 In an oven-proof skillet, melt the sugar and butter. Add a splash of rum to deglaze; if you like fire in the kitchen, ignite the rum (it’s pretty!). It will burn off in a few seconds. 6. Remove pears from the fridge and place cut-side down into the caramel (be careful, the caramel is hot). 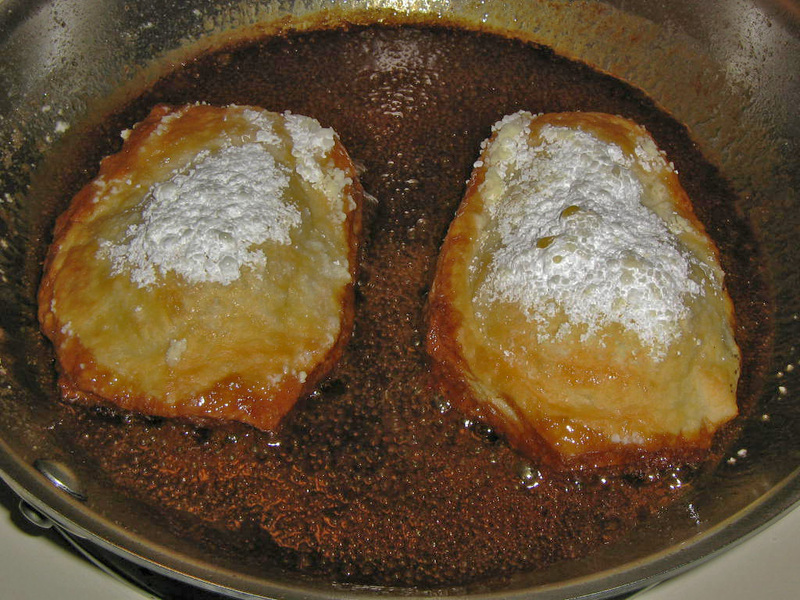 Dust with powdered sugar and place in the oven for 10-15 minutes, or until pastry is golden brown. 7. Remove from oven, plate the pear cut-side up on serving dish. 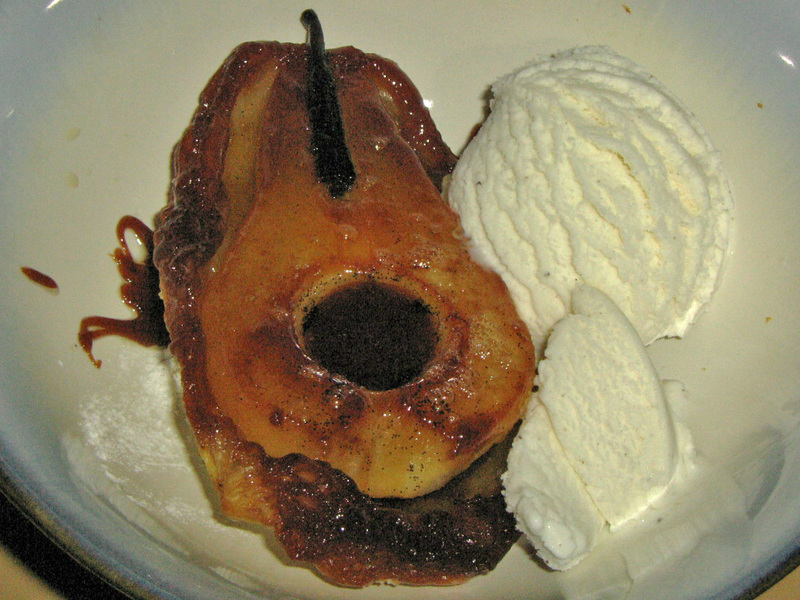 Add a scoop of ice cream next to the pear and drizzle the dessert with caramel. That looks so damn temtpting!! I would love to try this. I am a Gordon Ramsey fan, he is also very easy on the eyes!